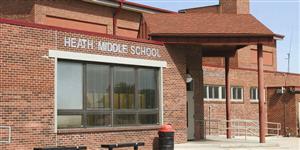 Our four traditional middle schools each offer excellent programs for students in grades 6-8. All middle schools are geared to address the individual needs of students, from Individualized Advanced Learning Plans and Gifted and Talented programs for students who need to be academically challenged, to many interventions to keep all students on track with their learning. Math, science, social studies and language arts are the core of our middle school curriculum. We also offer many elective opportunities for students, from physical education to art and music. Clubs and activities, including individual and team sports, are also offered at each of our middle schools. Our middle schools are a safe and welcoming environment for students. The Positive Behavior Instruction and Support Model is used in all schools to promote good behavior. Each middle school has a full-time campus monitor to help keep students safe and monitor visitors at the site. Each middle school also has access to a school resource officer, an employee of the Greeley Police Department, who works with schools to improve safety. Our middle schools are environments of great learning. We encourage you to visit one of these fine schools. Click HERE to download a middle school brochure. Click HERE to download a Spanish version.